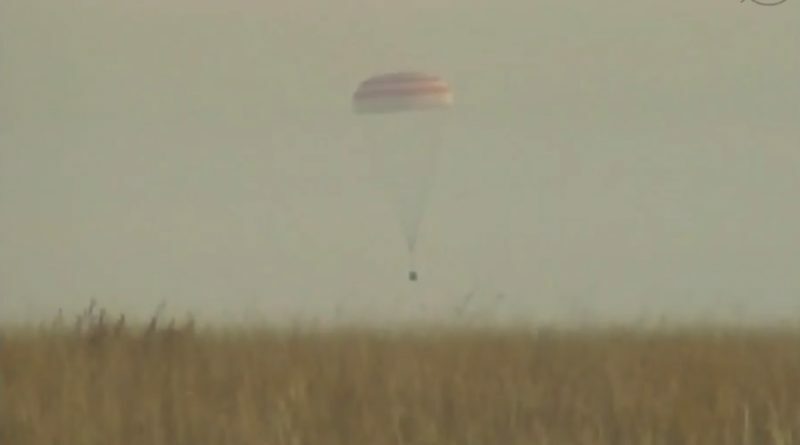 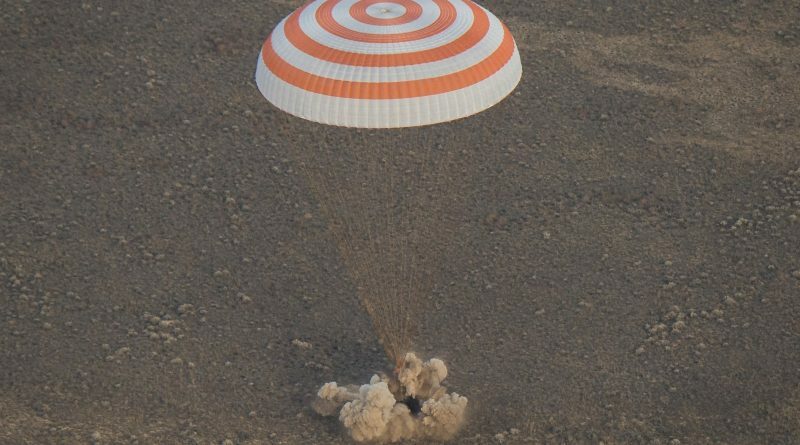 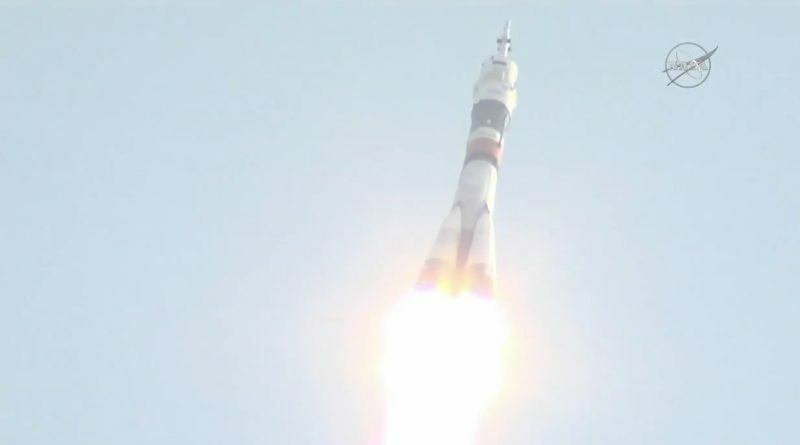 Temperatures were barely above freezing Sunday morning when a Soyuz space capsule parachuted to a safe landing in South Central Kazakhstan, returning with a crew from Russia, Japan and the U.S. after circling the Earth 1,840 times in a busy mission to the International Space Station. 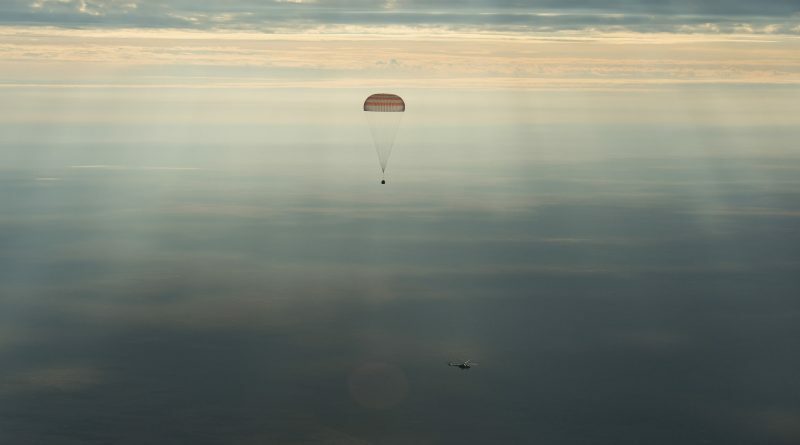 It was a short and intense handover for the Expedition 49 crew with three crew members now on their way back to Earth and the other half now at the helm for Expedition 50 with ISS in their hands for the next two and a half weeks until the next crew launches from Kazakhstan. 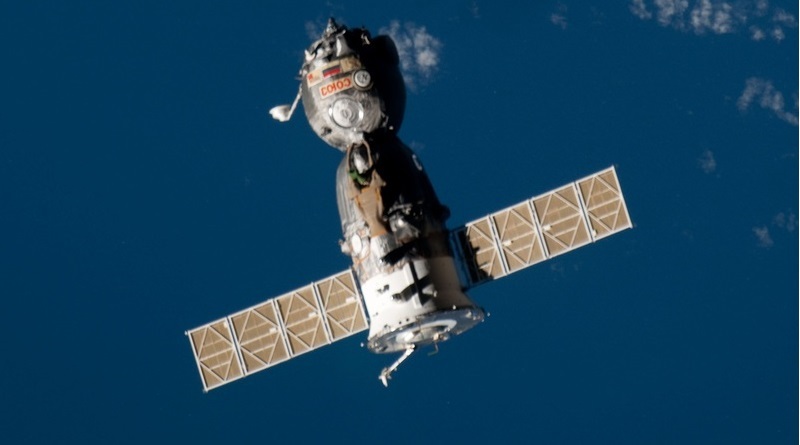 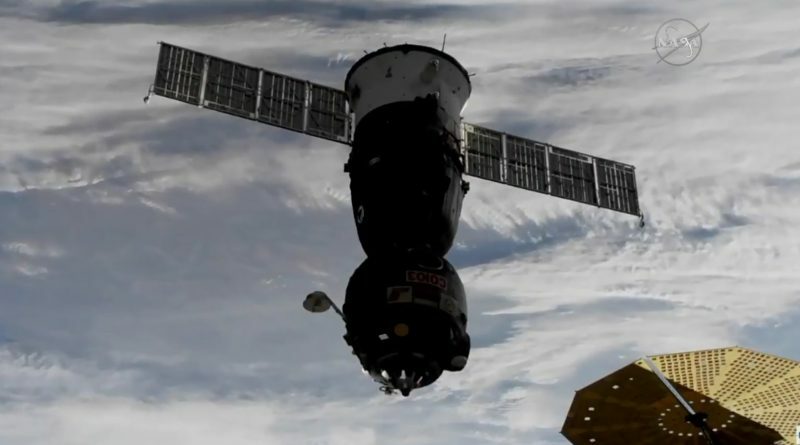 The Soyuz MS-01 spacecraft departed the International Space Station at 0:35 UTC on October 30, 2016 to begin the overnight homecoming of Expedition 49 crew members Anatoli Ivanishin, Takuya Onishi and Kate Rubins. 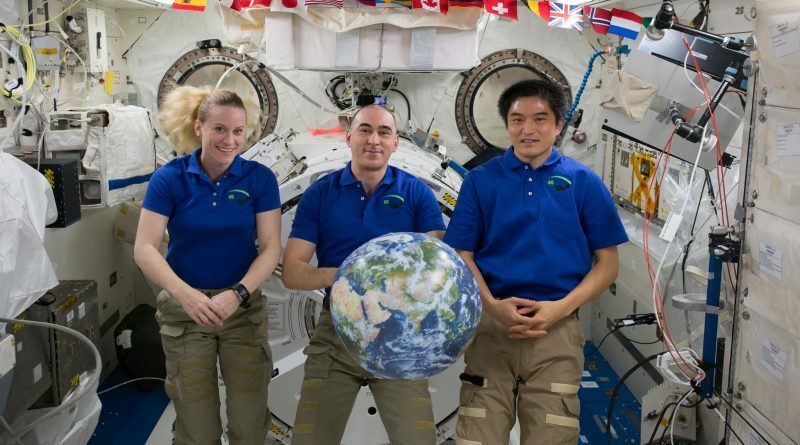 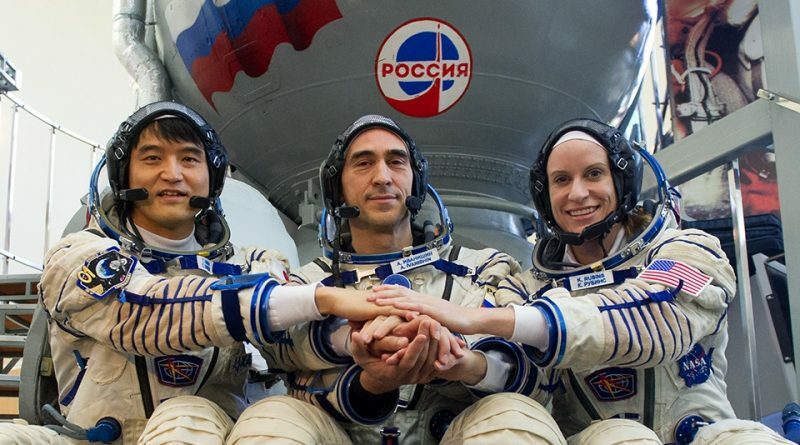 An international crew trio from Russia, Japan and the U.S. is ready to undock from the International Space Station aboard their Soyuz MS-01 spacecraft to put an end to a 115-day space flight with a parachute-and-rocket-assisted landing in South-Central Kazakhstan Sunday morning. 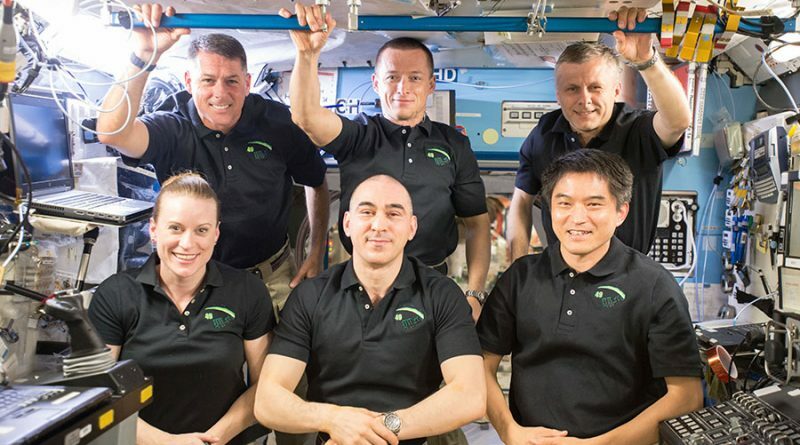 International Space Station Expedition 49 Commander Anatoli Ivanishin hands command of the orbiting outpost to NASA Astronaut Shane Kimbrough who will lead the 50th Expedition to ISS for the next four months. 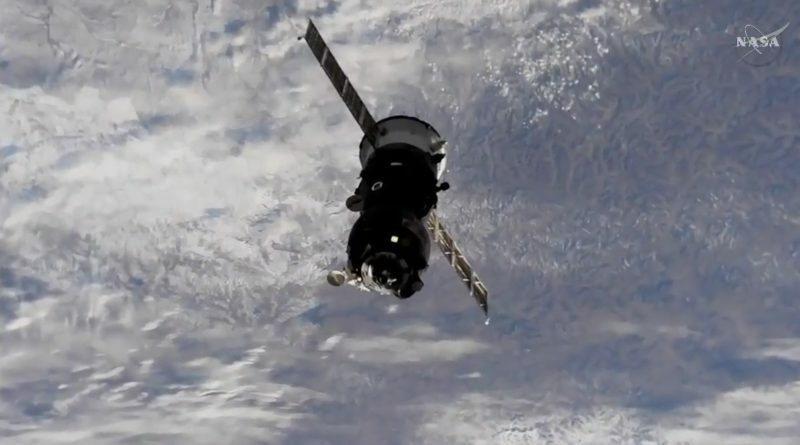 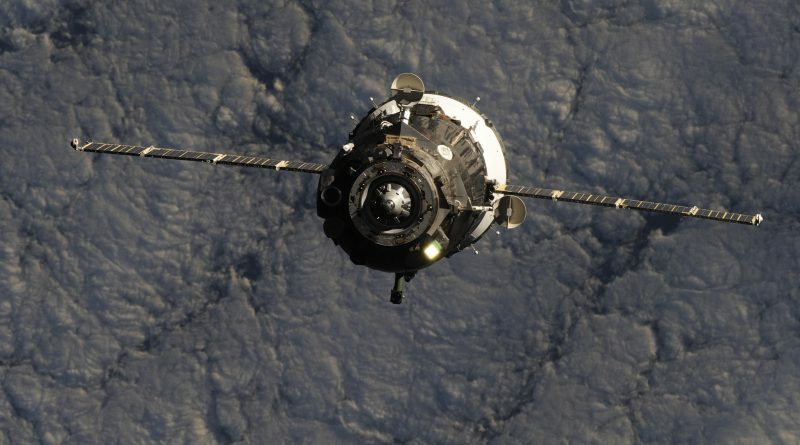 The Soyuz MS-01 spacecraft is inbound to link up with the International Space Station for an early Saturday morning docking to mark the arrival of one returning and two new crew members at the International Space Station for a stay of four-months. 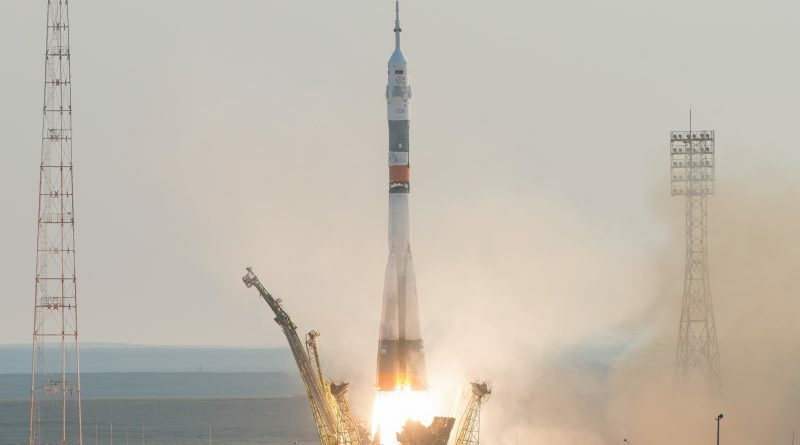 Set for a two-day commute to their orbital workplace, an international crew trio is ready for liftoff aboard their Soyuz spacecraft in the early hours on Thursday to head into orbit for a half-year stay aboard the International Space Station. 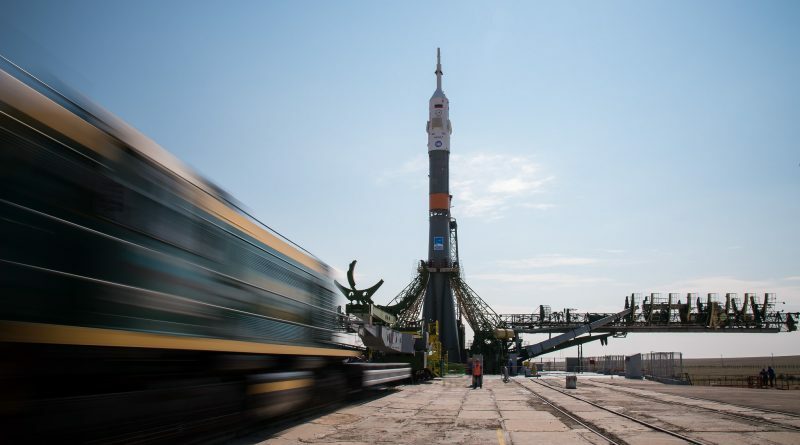 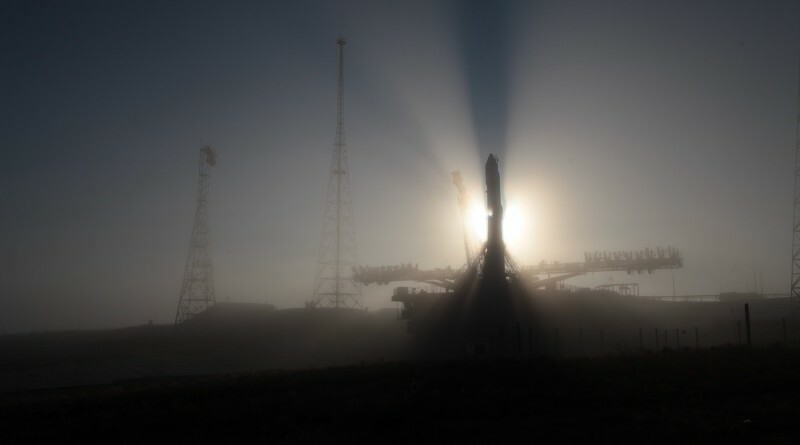 Russia’s Soyuz rocket rolled out to its Launch Pad at the Baikonur Cosmodrome on Monday in preparation for liftoff with three Space Station crew members in the early hours on Thursday. 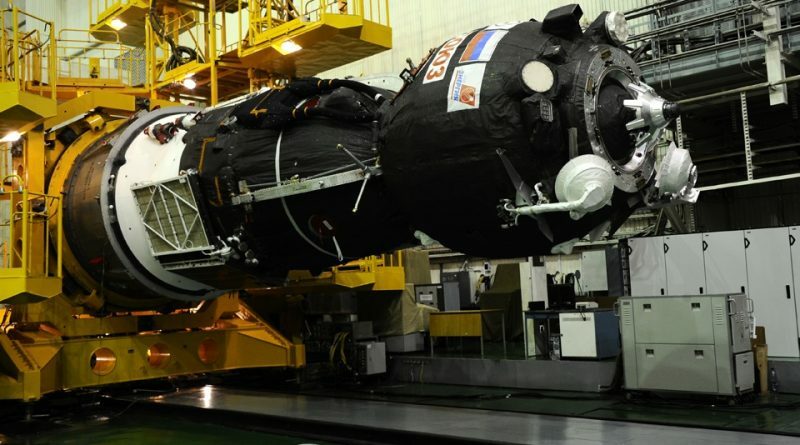 At the Baikonur Cosmodrome engineers assembled a Soyuz FG rocket on Sunday to set the stage for the launch of the next ISS crew next week. 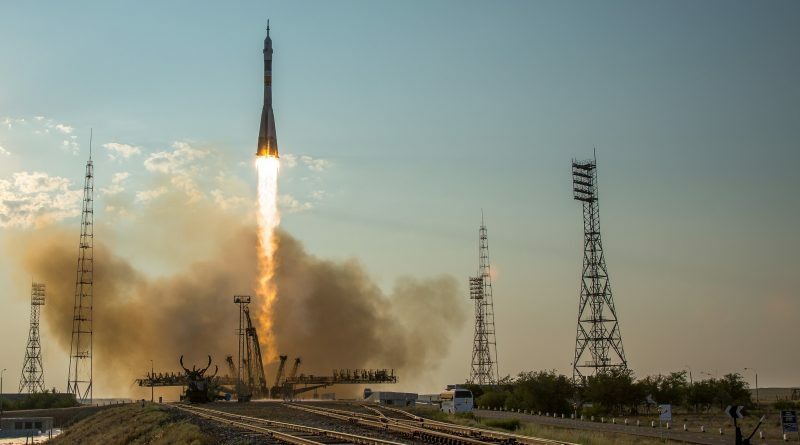 The first Soyuz MS spacecraft to carry a crew into orbit has completed its launch processing campaign and is ready for integration with its Soyuz FG rocket on a path to liftoff on July 7 to carry the International Space Station Expedition 48/49 crew into orbit. 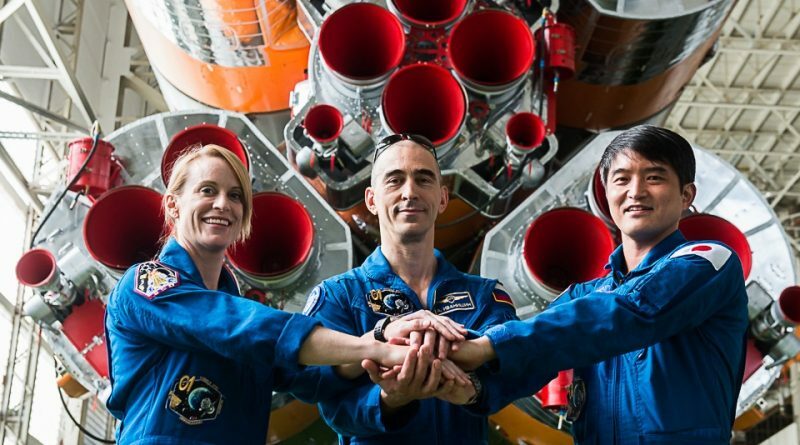 The launch of the next trio of ISS crew members is being delayed two weeks from June 24 to July 7 due to software problems with the new Soyuz MS spacecraft, making its inaugural mission to the International Space Station.